Renovation is one property investment type that stretches across the public’s demographic divide and touches everyone in some way – both owners and non-owners. Whether you’re an avid reality television viewer, or living in an updated house of your own, or have seen your childhood home taken from drab to designer chic, it’s hard to find anyone who doesn’t have an opinion on real estate renovation. Here’s another truism – I guarantee every long-term property investor will, at some stage, tackle a renovation project. They’re a rite of passage like some tribal initiation among the investor community. The key to renovation success is getting the fundamentals right. Here some basic guidelines to help you profit from remodelling an investment. Leaping into a project without regard to who will eventually live there is a great way to lose money when renovating. From the get-go, you must understand why you are taking on the project and who will eventually call it home. This is where your network of local agents comes to the fore. Once you’ve chosen a suburb and project type, chat with agents about what that community’s buyers or tenants are looking for in a home. You want the biggest possible equity gain or highest yield on each dollar spent. Local sources will help narrow down what you must include in a reno, and what can be ruled out of your initial ‘wish list’ to cut back costs and bad decisions. Of course, once you do get this great info, do some due diligence of your own. There are plenty of information sources available, from listing portals through to paid data sites, that can help confirm an agent’s claims so you can proceed with confidence. Making a list of the works is just the beginning. You need to go through each item on that list and be ruthless with shortlisting the ‘must have’ renovation items. Detail everything to see where the budget stands. You must also timeline the works to ensure you’re getting the most bang for buck. Why run timings? Well, while you might think some of the jobs are easy to DIY, in truth, you might be burning up more time than you should – and time is money. If it’s going to take you four times longer than a professional to pour, screed and cure a concrete path, perhaps you should get out of the way and let them do their thing. There will be more profitable ways to use your work hours. This skill improves with experience, but being on your game when organising contractors is imperative. Trades must be corralled and directed in a systematic fashion. If your plasterer is completing work when the waterproofer arrives, you are wasting money. Don’t be forking over for tradies to stand around doing nothing – get your scheduling spot on and start saving. This is also where I address contingencies. In my experience, allowing at least 10% extra on top of costs and 50% more time to complete the job is just smart business. I know you think it might blow your paper profit to build in contingencies before you start, but it’s rare not to have to use at least some of these buffers. 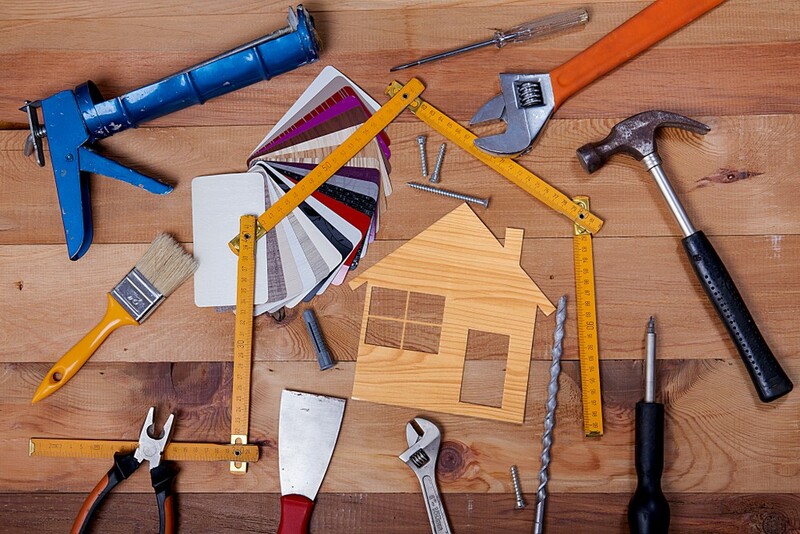 The easiest renovation ventures tend to be cosmetic (or as we refer to them in our office, ‘haircut-and-a-shave’ projects) but sometimes owners want to do more comprehensive work like creating new rooms, constructing decks or relocating wet areas. You’d be amazed at the number of owners who don’t realise they need local government approval for these sorts of renovations. They’re the tasks requiring far more than a, “no worries” from your tradie mate in order to meet compliance and be acceptable to a buyer or tenant. Elaborate upgrades often require council approvals and failure to secure these can be financially painful. A great example is the old upstairs/downstairs renovations we see in Brisbane. If you don’t have high enough ceiling clearance in your lower level, the council won’t approve it for habitation. Building extra space only to find council won’t issue a compliance certificate – and may even order the work be reversed – is an expensive error. Use ‘before’, ‘after’ and ‘during’ photos to keep track of what you’re doing. In addition, progressively monitor your budgeted amounts against your actual spending too. There’s an educational element to documenting as well. Most people don’t get their first renovation project perfectly right. It takes a few ‘hard knocks’ before you formulate a system that works. As an example, I did a run of renovations a few years back. After I’d completed a few, I discovered particular types of tile, carpet and paint that were cost-effective and translated well in most markets. I was able to take this knowledge and reuse these items across many renos – saving money by buying in bulk. It was a cookie-cutter method but it worked well, and I only achieved this through progressively studying the details surrounding each project. There’s plenty to learn with property renovation, and much is experience. If you feel daunted by renovation options, don’t hesitate to contact us. We can walk you through the do’s and don’ts for maximising results.